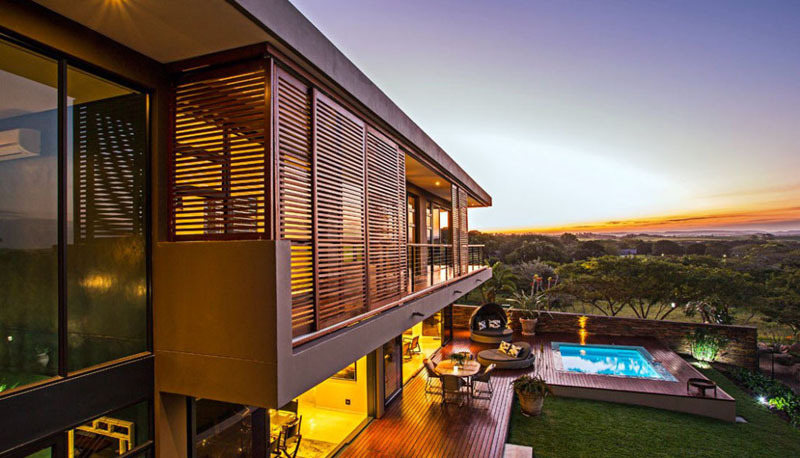 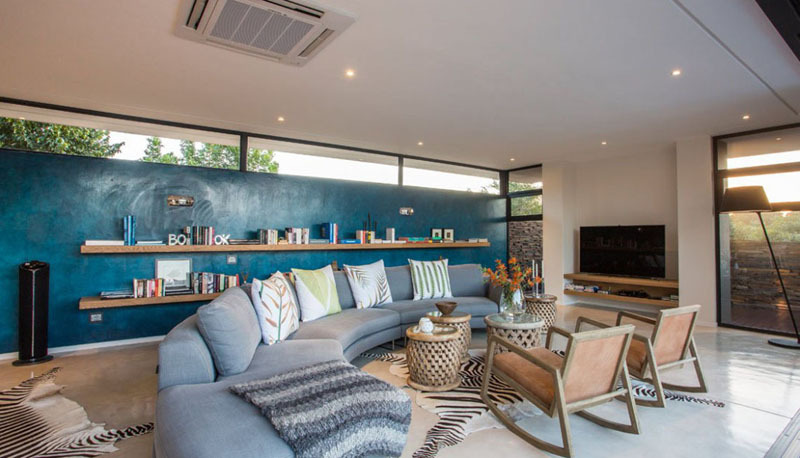 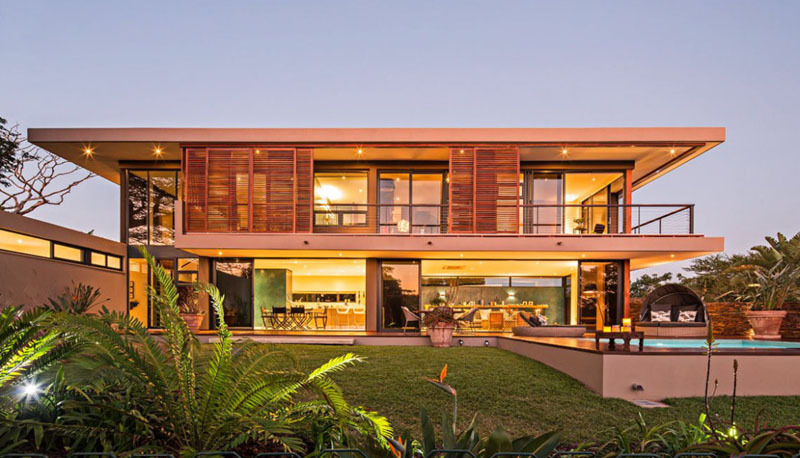 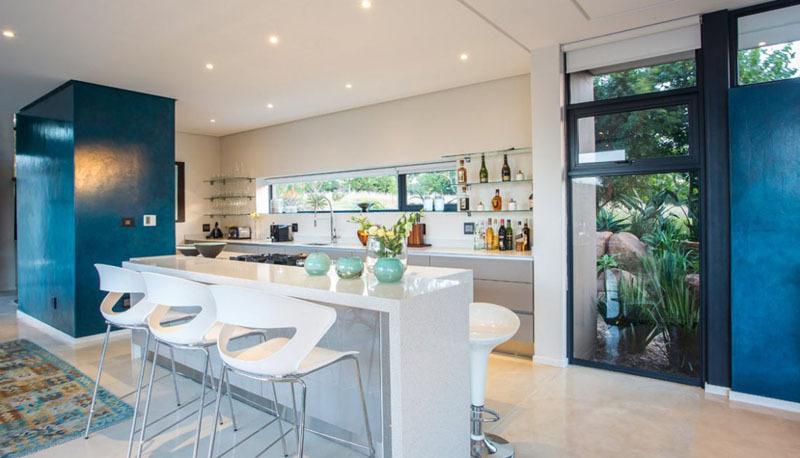 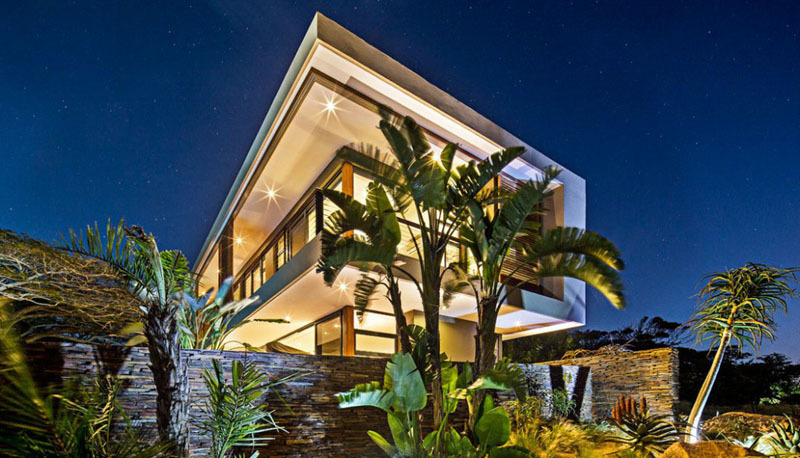 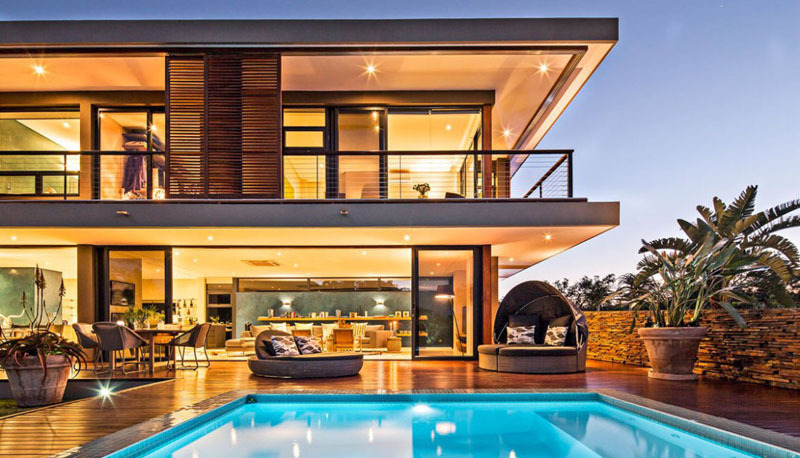 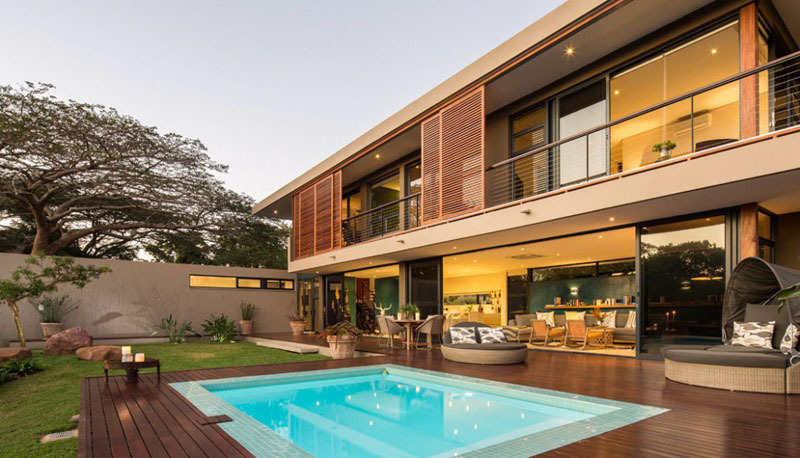 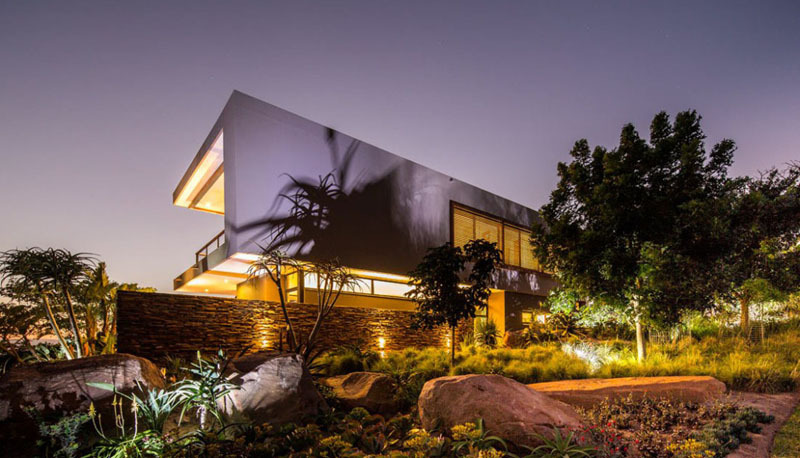 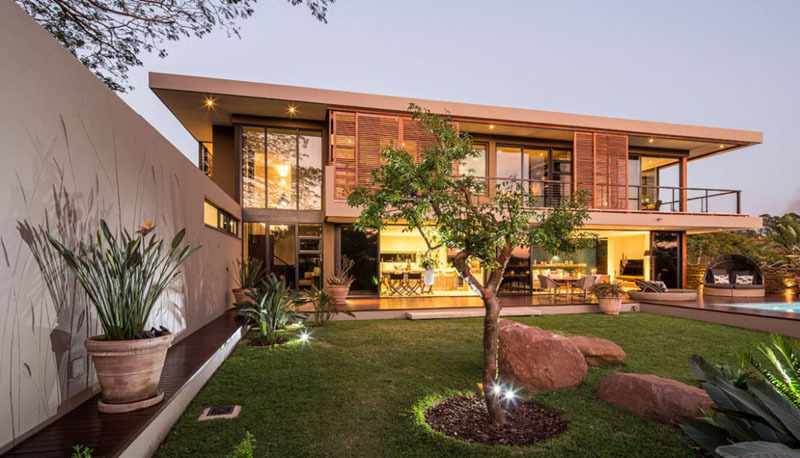 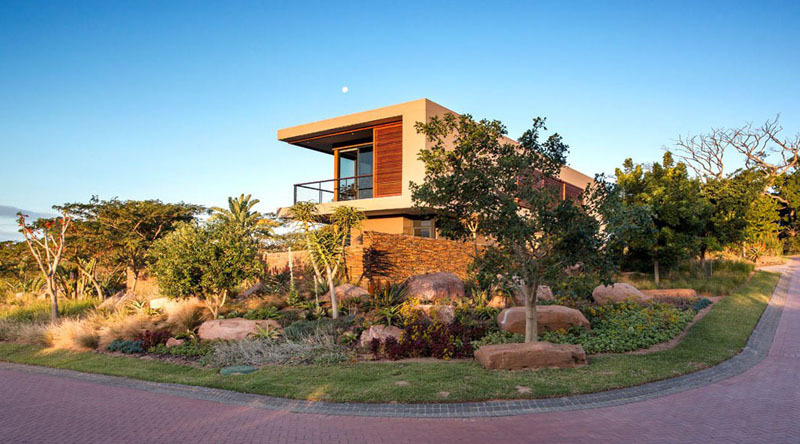 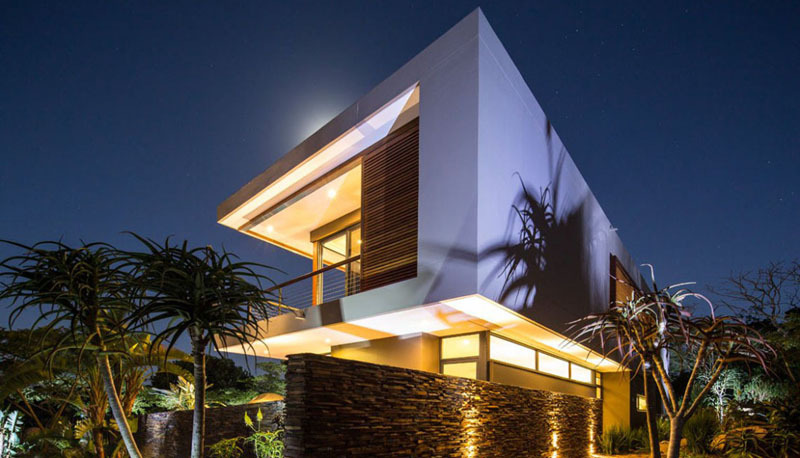 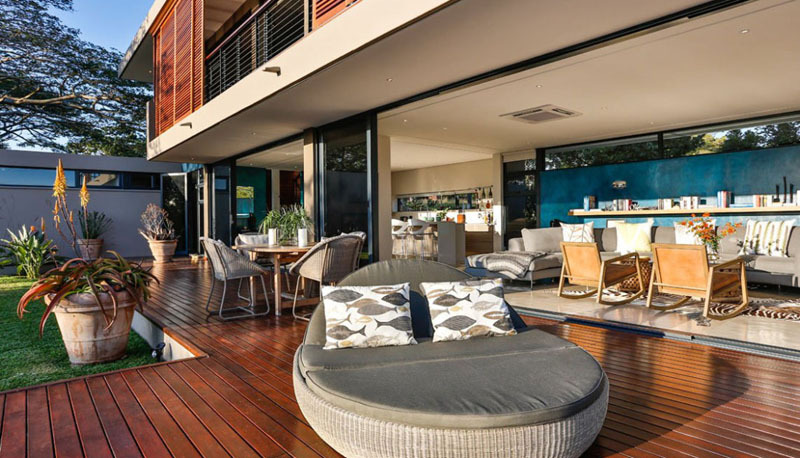 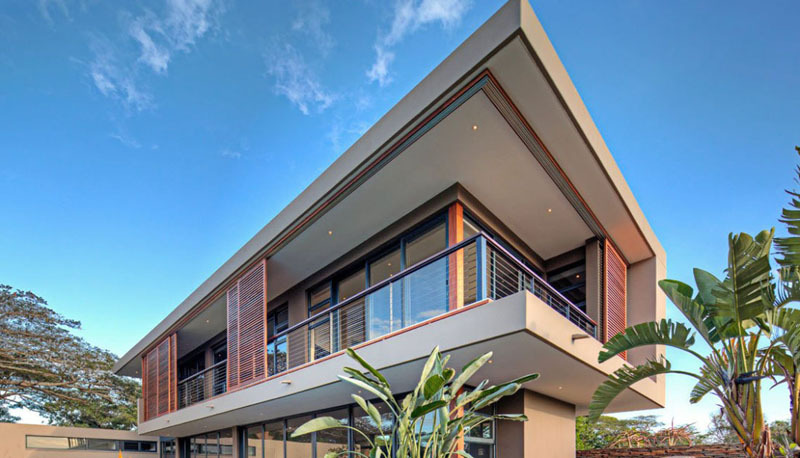 The Aloe Ridge House rises above the ground with its volumetric inspirational design lines shape a spectacular contemporary home focused on gathering the best views its surroundings have to offer. 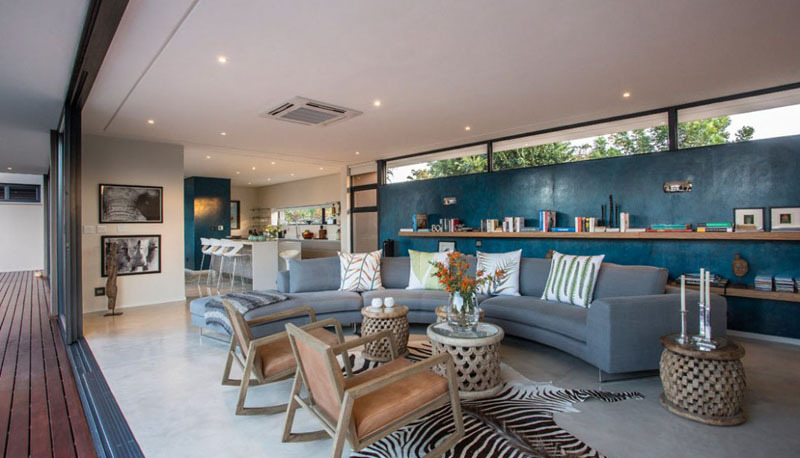 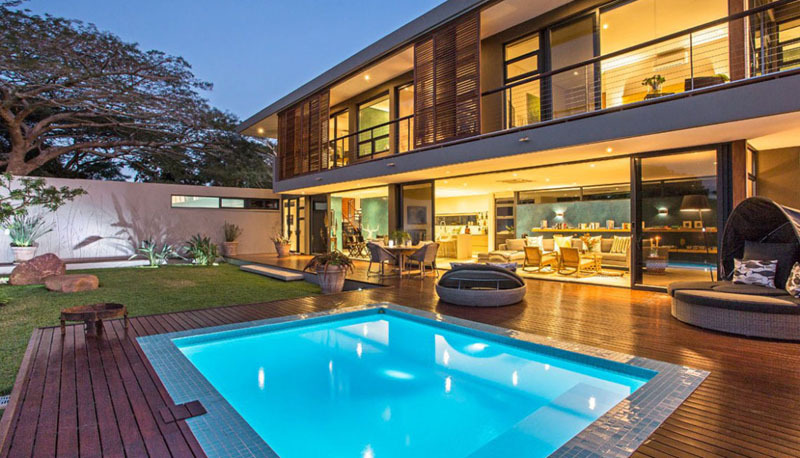 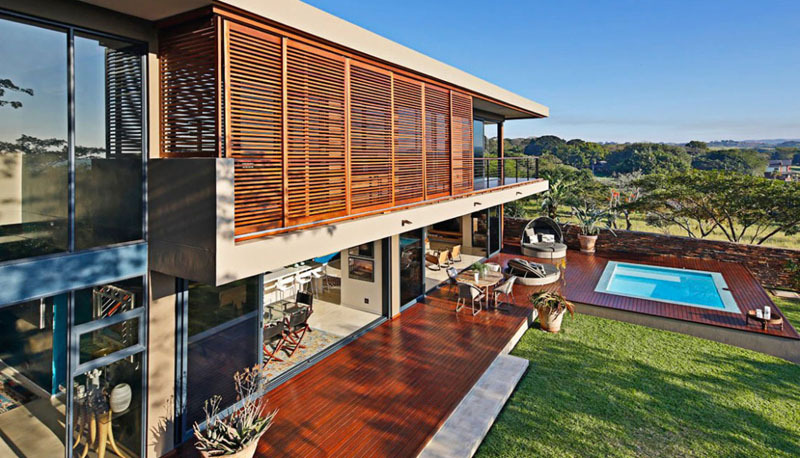 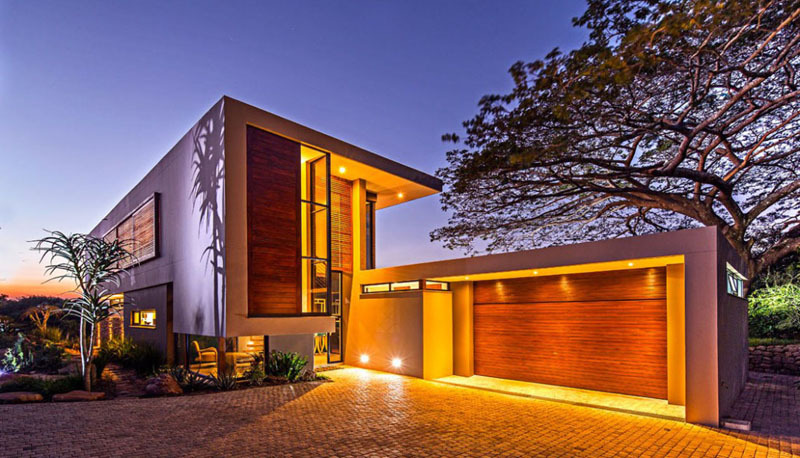 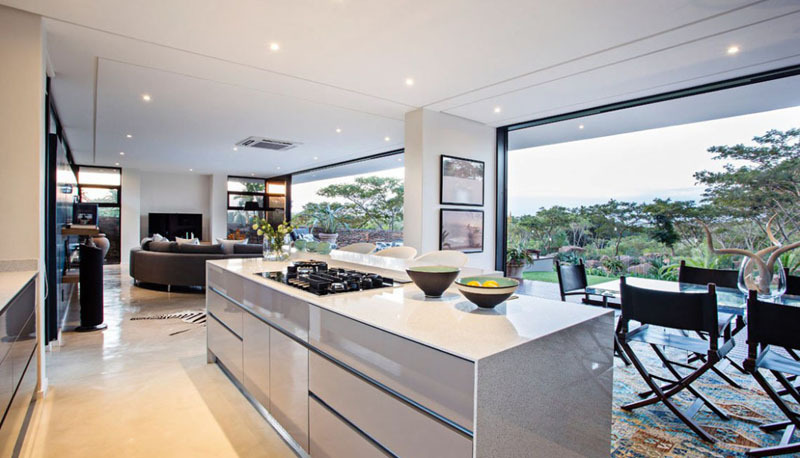 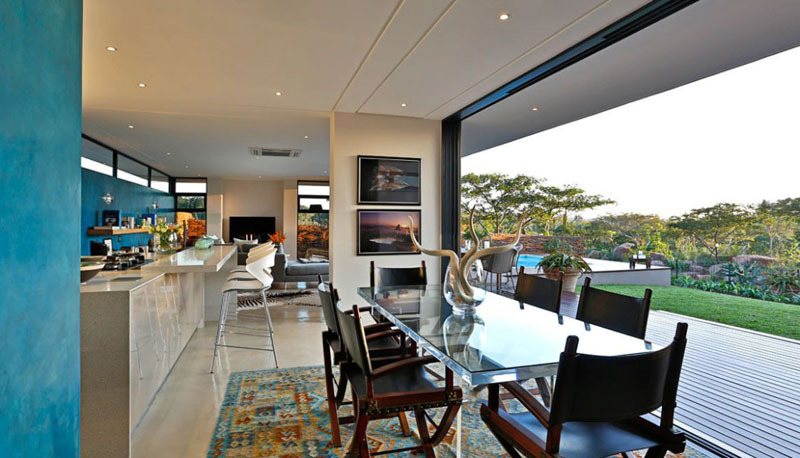 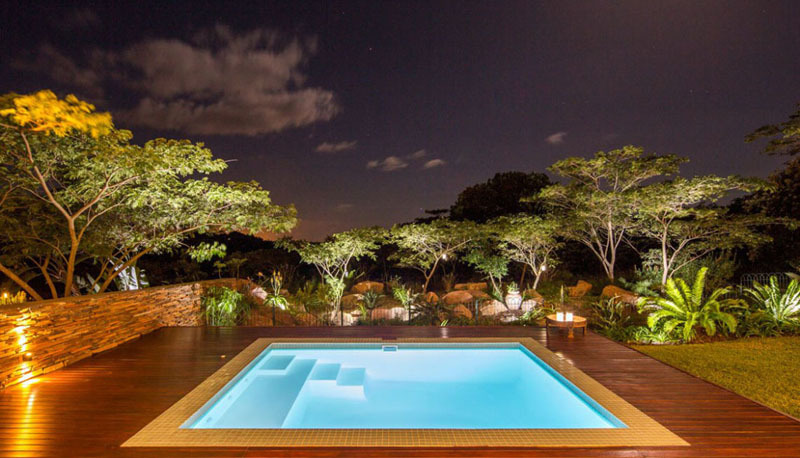 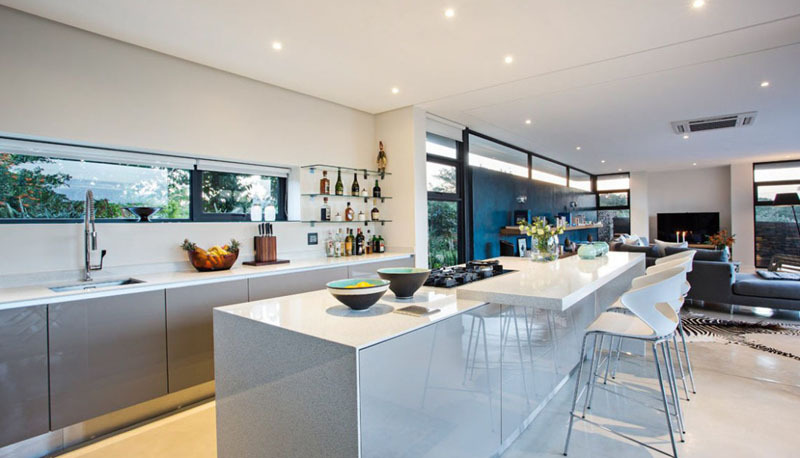 Located in the Eden Rock Coastal Forest Estate on the southern coast of Kwa Zulu Natal, South Africa. 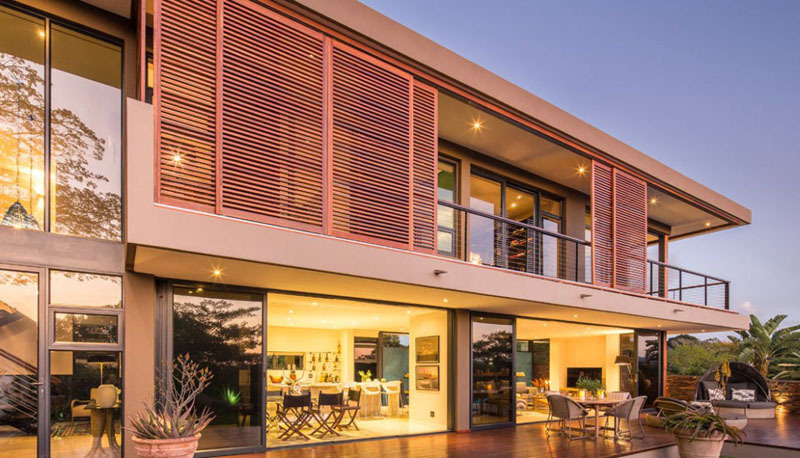 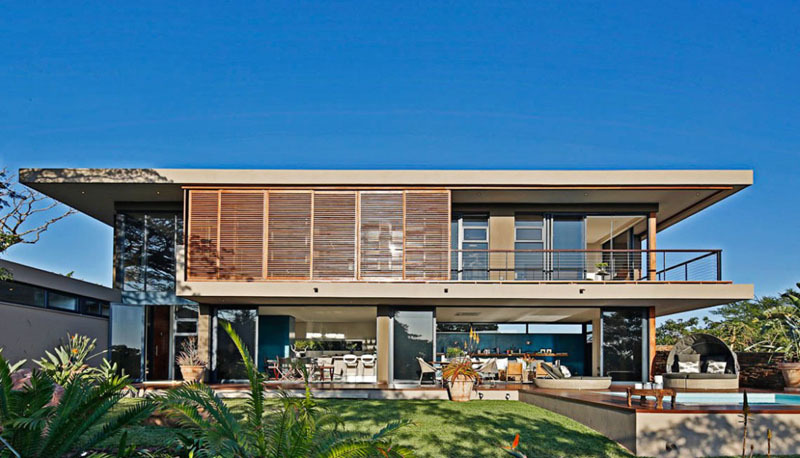 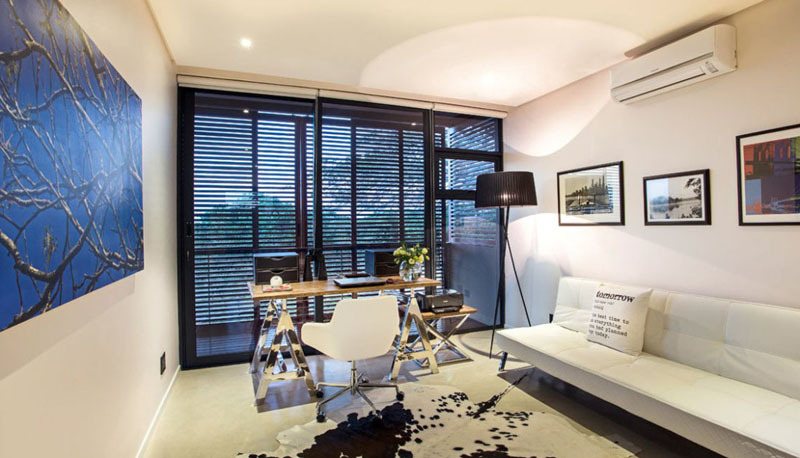 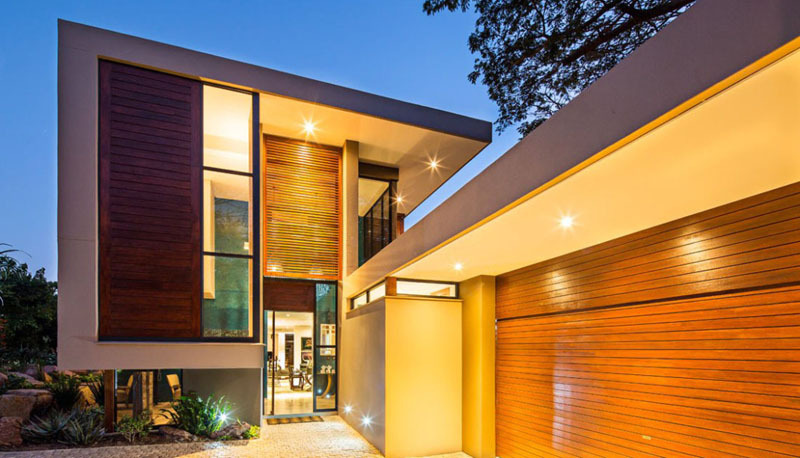 Stone, wood and glass were used to compose a majestic residence where natural light is filtered through a collection of sliding wooden blinds.